Casabianda airfield (Aérodrome de Casabianda) was an airfield on the east coast of Corsica. 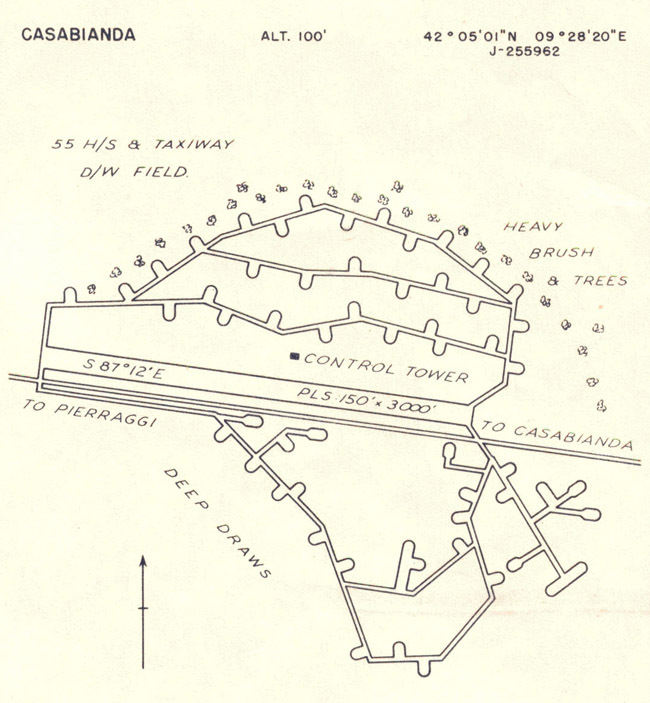 Casabianda airfield was a part of the USS Corsica group of airfields. It was located on 77 hectares of terrain designed to accommodate air base operations as secretly as possible. It was assigned to the Air department by decree of 17 April 1937, but not published in the Official Journal. March 17, 1939, the proposed development of the airfield was immediately approved by the Minister of Air, which entrusted the construction to a local constructor of bridges and causeways. He was to ensure that the airfield was ready for use by very heavy aircraft at the beginning of June, 1939. 33 hectares north of Forest Road (today Route Departementale 343) could be delivered to the Air Force before June 1940. The following October, the Secretary of State for Aviation for the Vichy Government formally asked the general commanding the 1st Air Regiment to surrender the land to the administration of domains. In June 1941, the Secretary of State for the Air Force decided that the land should be retained in the area of air. The airfield assumed service in 1943-44, when the Americans converted the 44 hectares that had been planned originally in 1939. 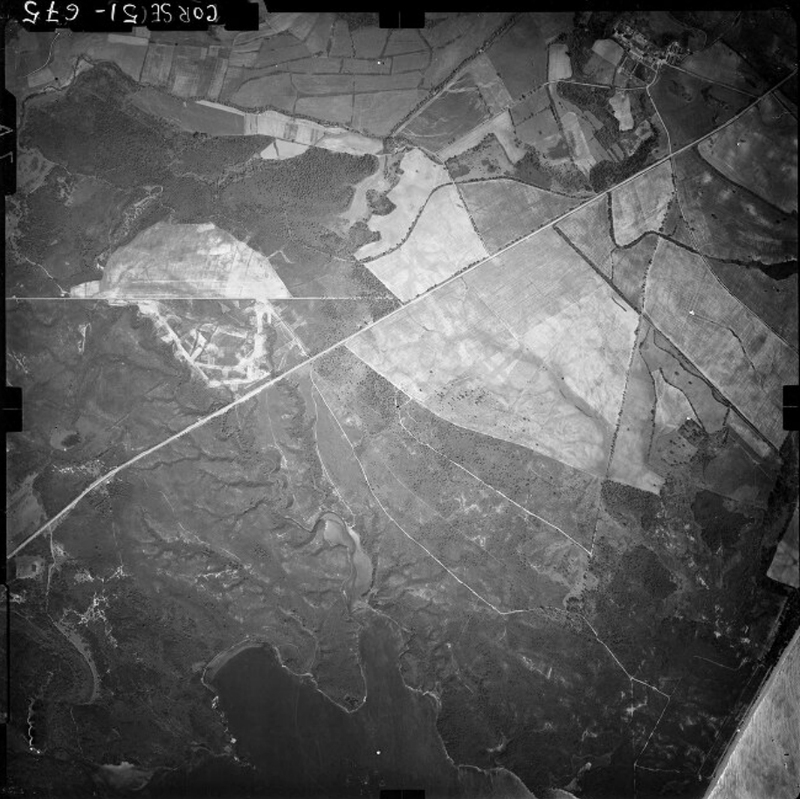 Very few documents have been found about this airfield, as it seems that this airfield was used by USAAF C-47s for secret intelligence missions. 1944 Map of the airfield. On 14 August 1944, the British aircraft carrier HMS Pursuer delivered 4 Hellcat fighters to the airfield, just before that carrier took part in Operation Dragoon. During that operation, two Royal Navy Sub-Lieutenants (WTR Smith and RP Gibson) failed to land at the carrier. They were forced to ditch and were rescued by a Catalina rescue plane which took them to Corsica. Both airmen each used one of the four spare Hellcats to return to their carrier via Casabianda airfield. On 6 February 1947 the airfield was closed. No known official list carries any indication of its existence as a former airfield.